Gold Coast QLD is located in the south of Queensland, Australia and it is its second largest city after Brisbane. The Gold Coast is ideally situated to allow access to the interior; where there are plenty of national parks to explore in your Gold Coast motorhome rental, campervan hire or RV rentals. Drive north up the coast past Brisbane and on to Cairns via the Great Sunshine Way, for a day trip or two to the Great Barrier Reef. Queensland, “the Sunshine State” is probably best known for the Great Barrier Reef which is just off its magnificent coastline. Driving the Great Sunshine Way on a Gold Coast motorhome rental in Queensland will take you to a heady mix of cosmopolitan cities, coastal towns and country villages before you make a stop at Bundaberg, the southern gateway to the Great Barrier Reef. This is one long journey to consider, and could take at least three days to complete if you want to spend enough time in each of the stops. If you are into history, Queensland makes an educative destination in your RV rentals or campervan hire as it played a major role in the history of Australia. The Australian Labour party was formed here after the shearer’s strike of 1890 in Barcaldine town; the airline Qantas originated in Longreach where there is now the Qantas Founders Outback Museum; and of course there is the Walkabout Creek Hotel in Mckinlay which was made famous by the Crocodile Dundee movies. 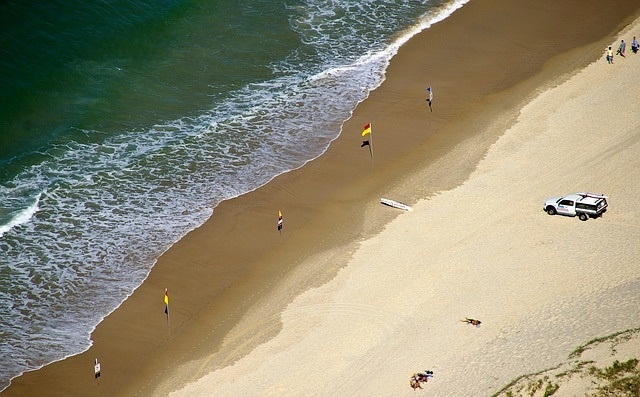 In order to take in all that Queensland has to offer, a motorhome hire in Gold Coast is in order. 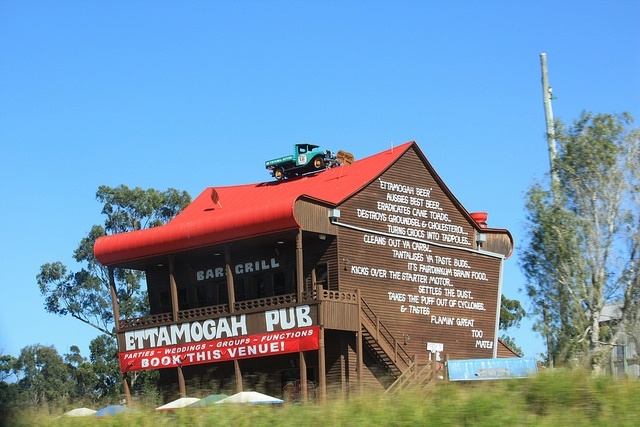 Driving north past Brisbane you reach what is known as the Sunshine Coast where you can stop and take pictures of the oddly shaped and, consequently, most photographed pub in the world, the Ettamogah Pub. Afterwards, you may even enjoy a drink before visiting the Australia Zoo, home to the late Steve Irwin. Continuing north along the coastal road in your campervan rental in Gold Coast, you pass Fraser Island, renowned for its 120 kilometers of sand where the incredible dunes allow for some exciting sand boarding. Then it’s on to the Whitsunday Islands before reaching Cairns. 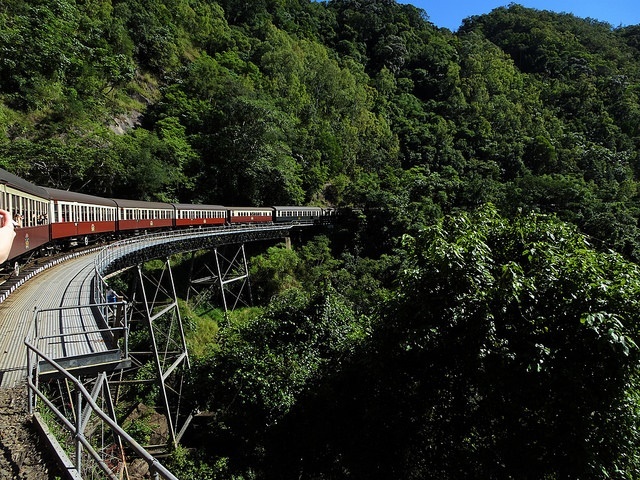 There, the Kuranda Scenic Railway affords some magnificent views of the rainforest of the Kuranda Range and the Skyrail Rainforest Cableway allows people to travel 7.5 kilometers through the forest canopy in gondolas. Before dropping off your campervan hire in Gold Coast; you may want to visit the Wheel of Brisbane, whose 15-minute gondola trips can offer some exceptionally amazing views of the city and perhaps get you in the mood for the thrilling theme parks for which Gold Coast is known for.